Electric Inverters Allows 12V batteries to power 230V AC mains appliances such as small TVs videos and small kettles. The Silverline 12 Volt 1000 Watt Model electric inverters comes complete with wiring as pictured below. Peak Power: 1600 watt 1 second. 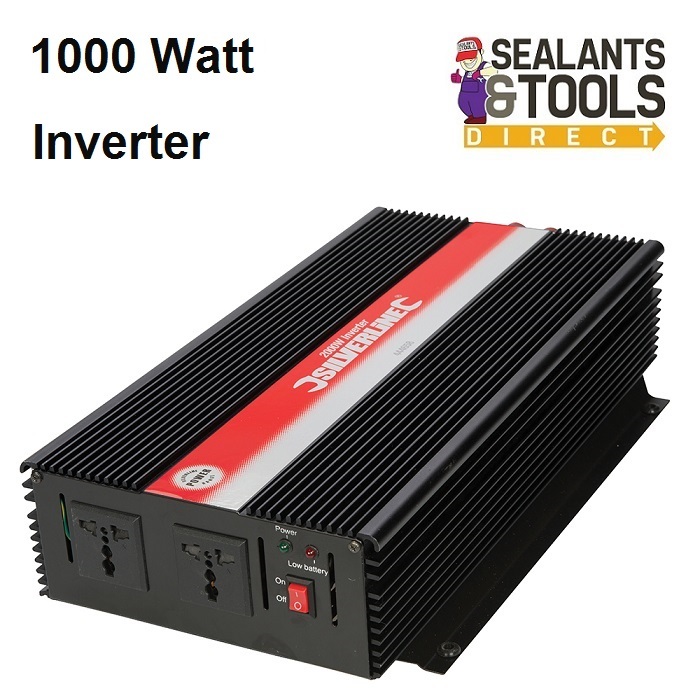 "As a general guide a power drill with a consumption of 700/800w will need a model that is 1000w to 2000w do not run a 1000w product on a 900w inverter a 1000 watt product will need to go up-to the 2000 watt model". You can extend your guarantee by registering your product within 30 days of purchase. Any faulty goods will be repaired or replaced free of charge.